For the past decade or so, many companies have made the switch from brick and mortar to having their employees working from home. This is beneficial to both the employees and the employer. So, there is no surprise that this industry is booming and a large percentage of workers are commute free…well they do have to make the trip from bedroom to office (two doors down). 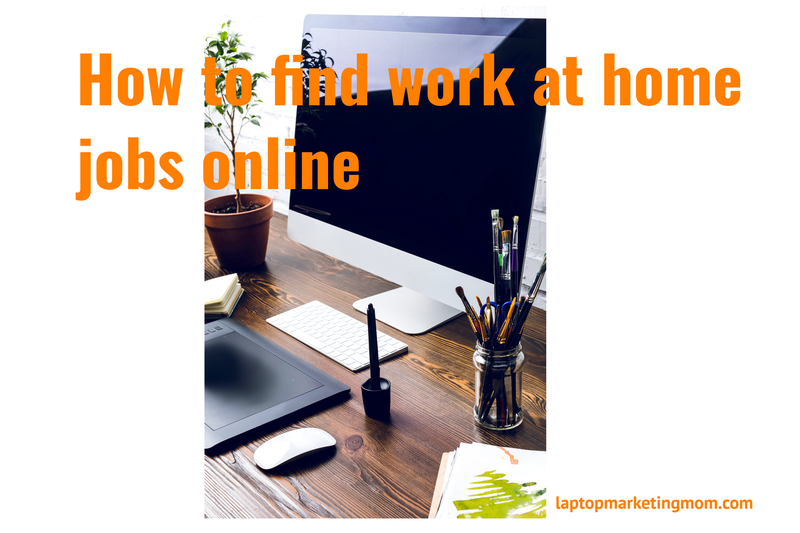 There are so many work at home jobs out there; you just have to know where to look for them. With so many scams out there, you have to be cautious when looking for work at home job opportunities. Are you looking for legitimate ways to find work at home jobs? Below you will find ways to find work at home jobs online–scam free! TRY IT RIGHT NOW…=> type one of the ABOVE key words into your web browser and see the search results. There are many job boards available where you can find remote or work at home opportunities based on the type of industry. Take a look at some of the top ones (which I have used myself). Flexjobs has many categories of remote jobs to choose from, which is why it is number one on my list. Flex jobs is the leading job site for remote work; if you are looking for full-time, part-time, freelance, and other flexible positions, then this is the job board for you. There is a fee to join, but it is totally worth every penny. You will get unlimited access to every job they find (guaranteed scam free), free skills testing, job tips from their experts, email alerts when new jobs meeting your requirements are posted–to name a few of the benefits. You can pay $14.95 per month, $29.95 per quarter, or $49.95 for the entire year. This is another great website for finding reliable work at home jobs. This is free to join and you can find jobs in any industry on this website and they do have a curated list of reliable work at home or flexible positions. Some of the job categories includes, Management, Development, Customer Service, Consulting, Finance, Health Care, and Education. Here is why I love Fiverr, you can set up your own gig and get hired…and you can also bid for jobs. This is my freelance marketplace choice for digital services. Offering your services on Fiverr is called a Gig, and you have the option of choosing your starting price. This is one of favorite job boards not only for, work at home opportunities, but for any job. Indeed.com enables job applicates to search millions of jobs from thousands of sources in order to find a match to your search criteria. Although Flexjobs is favorite for work at home (because they guarantee that the jobs posted on the website are legitimate). On Indeed you can find any kind of jobs, which includes work at home opportunities. For work at home opportunities, you can search for “work at home”, “telecommute”, “flexible job” to locate work at home jobs. You can also save your searches as an email alert, which will be delivered to your inbox daily. As I mentioned, many companies are now having employees work at home. So, another way you can find work at home jobs is by looking directly at the companies’ job postings. Again, you can try searching by work at home, remote, or telecommute to find positions that have the option to work from home. Try Amazon for example, search Amazonjobs, just click on the Remote career opportunities, you will find all the work at home opportunities–all over the world. You can further narrow your search based on job categories, cities, and job type. There are many opportunities out there, you just have know where to look for them. The above is just a few ways to find those “not so hidden” work at home jobs. I also love Fiver, but I’ve never tried to work from there, only hired people from there. Is it pretty easy to set up shop? I wonder how long it takes to get busy…probably depends totally on what you’re offering and selling. Thanks for this great list for online job opportunities! Yes, it depends on what your skills are and getting those first few customers are critical to your success. The goal is to be the highest level seller, this way you will be top of the list. Although some people may give lower level sellers a chance, a level 4 seller is where you need to be. Excellent job in promoting work at home opportunities. They all seem to be well researched but, most importantly in my opinion is how you pointed out your favorites. Thank you. I only recommend those that I have either researched or personally used myself. As it would happens, I have tried all that I have listed here. It’s definitely harder these days to become established on Fiverr because there are so many copy-cat services these days. I think the key is to find the most unique service you can provide and go from there. I agree with Fiverr, you must not only be unique, but also provide quality work. Thanks for your comment. great post. I have a gig on fiverr but haven’t got any work from it as its very competitive. I am looking now to do some content and blog writing so will set up on fiverr and Upwork. There is definitely work out there you just have to get off your bum and find it haha! I agree it is highly competitive in on Fiverr. I think that if you provide quality work that will help. Thanks for visiting.